The Chase School WON Kooth’s 2018 First News Takeover Challenge! Kooth is an online mental health support service providing children and young people easy access to a team of experience counsellors and a supervised online community discussing current affairs and a variety topics. Access is free of the typical barriers to support: no waiting lists, no thresholds, no cost and complete anonymity. Launched in 2004 and accredited by the BACP, more than 1,500 children and young people across the country login to Kooth every day. The purpose of the event, which began in November 2018, was to have young people take over organisations for the day and learn about the world of work. Every young person has the right to a say in the decisions that affect them and Takeover Challenge encourages them to exercise that right. Kooth has been involved in the Takeover Challenge for the last two years in order to give young people the opportunity to provide their opinions on what they feel they want from their service. 10 student volunteers from The Chase evaluated three areas within Kooth’s service; peer support, branding and personalisation, answering specific questions and offering views on what they felt Kooth were doing well and suggestions on what they may like to see done differently. In total, 34 schools took part across England and Wales, with The Chase selected at random from all the entries. The prize was a £100 voucher for the school and a certificate of attendance to all the young people who attended. 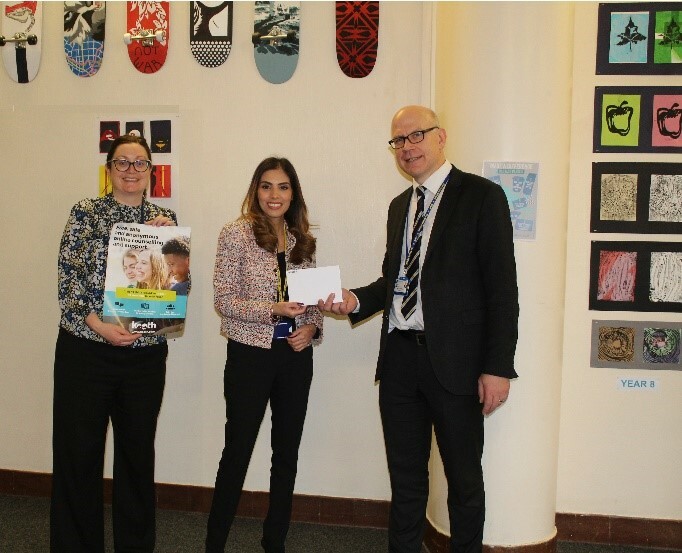 The Chase School was also congratulated by Jasdip Hothi from Kooth for its positive attitude towards supporting its students with emotional and mental health wellbeing. Kooth is promoted on the school’s CARE pages where any member of the school and wider community can access information, advice and guidance on a variety of topics including mental health and well-being.